Everyone’s doing selfies as though it were a sudden new discovery, but of course artists have been doing what used to be called self-portraits forever. The arrival of digital photography has just put the possibility of creating an image of oneself in the hands of the masses. One thing, though, is new with photography – the artist is for the first time able to see him/herself without mirror inversion – or without contriving some contraption of mirrors that inverts the inversion. Was it van Gogh’s left or right ear that was, possibly, severed in sword-play with Gaugin? Did he look in a mirror? 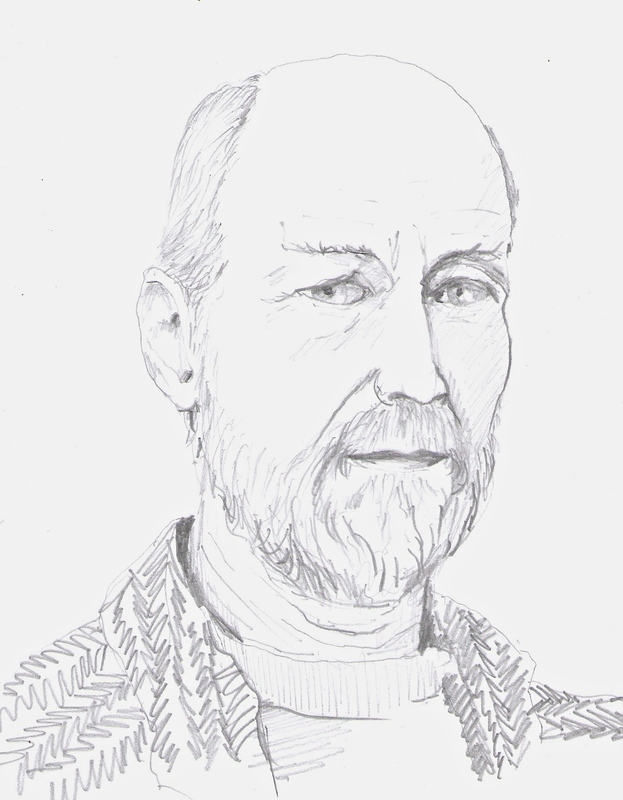 Here’s a pencil self-portrait done by copying a photo that my son Sky had taken, as I saw it on my screen. This method has the advantage of not inverting the face – plus the model keeps still.